If you’re struggling to decide whether to move to Portugal or not, take some advice from the locals – and get packing! Algarve Daily News, the magazine for expats living on Portugal’s sunny south coast, has identified six great reasons why the British should choose a new life in their country. We think we can do even better than that, so we’ve taken their six and added a few of our own! Even in the depths of winter, you won’t see any snow or frost in the Algarve, unless you go up a mountain (see number 8, below). The weather is warm from March to October, and seriously hot in July and August, but moderated a little by the Atlantic breezes. If you’re wary of the strongest heat, consider the north of Portugal, where you can expect year round temperatures around 10ºC warmer than the UK. You’re never more than a couple of hours drive from the seaside in Portugal, and what a seaside it is! Forget the boring old Mediterranean, Portugal is on the Atlantic Coast, with huge, crashing waves in winter – it beats Hawaii for the size of its surfing waves – and superb sea fishing. Most of the beaches have white or golden sand. Algarve Daily News recommends the 400 metres of Vale de Centeanes, while we’re rather fond of Praia de Mira, at Figueira da Foz on the Silver Coast. The Portuguese are friendly, and realistic – they understand we don’t learn Portuguese at school, so they don’t really expect it. Of course, if you’re staying there at length, it’s good manners to learn at least a smattering, but in the cities and tourist areas you’ll be able to get by in English. History buffs may know that Portugal is Britain’s oldest international ally, the Anglo-Portuguese Alliance standing since 1373. Actually, the Portuguese people are pretty friendly to everyone. You’ll notice as soon as you land, the ready smiles on the faces of people who will always have time to stop and chat. The fish is fresh and the wine is divine, but moving to a new country is the perfect way to expand your culinary horizons too. The fish is fresh and the wine is divine, but moving to a new country is the perfect way to expand your culinary horizons too. So get tucking into caldo verde, a soup of potato, kale and chunky chouriço, or folar de Chaves, a northern dish of meat baked into bread. There’s the swimming, the surfing, the sailing, the parasailing, the water skiing and the scuba diving. Too wet for you? Okay, then there’s the golfing, the cycling, the long country walks, the horse riding and the tennis clubs, where you can play all year. Too energetic? Then there’s the history, the culture, the art, the music… Still too energetic? Then there’s just sitting in a café, or by the pool in the sunshine, watching the world go by. You have daily budget flights all year from most of Portugal to most of the UK. You can fly into Porto in the North, Lisbon in the middle and Faro in the South, all without needing to change planes. Fancy an alternative? Take the train to Paris, then the wonderful Sud Express across the Iberian Peninsula to Lisbon in just a few hours. You know about the beaches, but many of us love a mountain too. 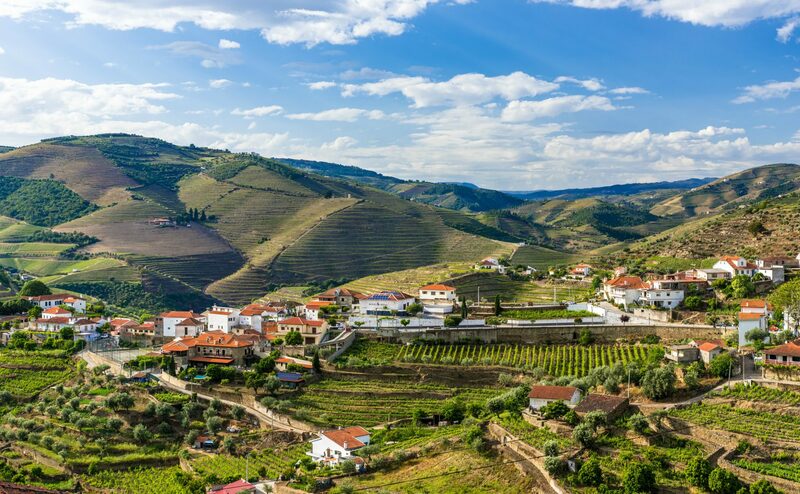 Portugal has dramatic mountain scenery that often stretches down to the coast and is easy to reach. In the North you can hear the wolves at night, or maybe see a lynx – Europe’s only big cat species – and in springtime, the mountains’ wild flowers and streams rushing with melted snow are a sight to behold. We tried to avoid mentioning money, but why be coy? On just about every living expense, Portugal is between 50 and 35 percent cheaper than the UK. 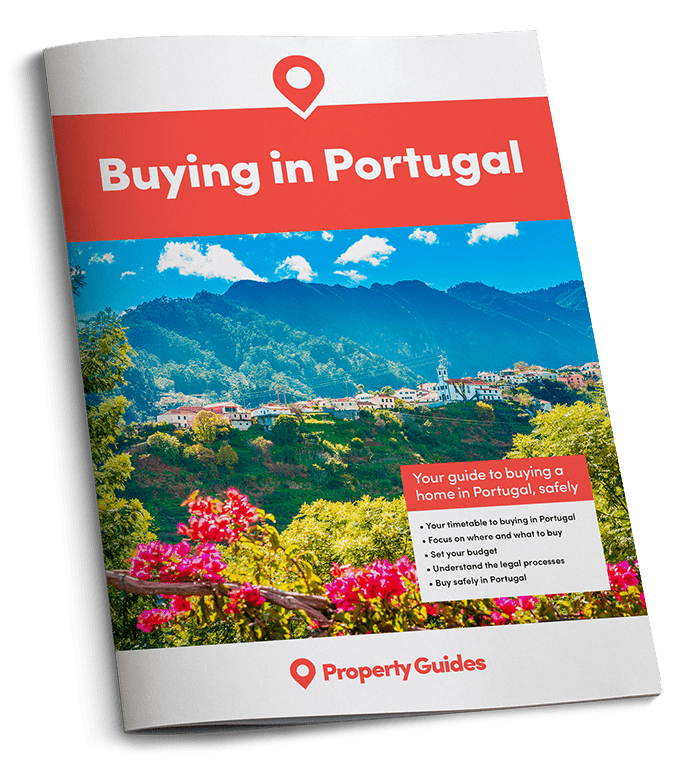 Average rents are half as much in Portugal, so are restaurant prices, while supermarket food is a third less than the UK. Property prices are also rising at a similar rate to the UK, and from a lower base, so you might even make a profit from living there!